American statesman, scientist, inventor, diplomat, author, printer and publisher. 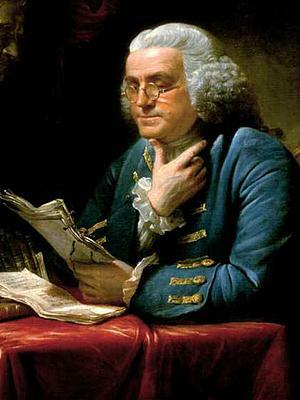 In the middle of the 18th century, Benjamin Franklin was corresponding with members of the Royal Society in England, communicating his reflections on his work with electricity. A thoughtful letter listed dozens of observations and suppositions about the behaviour of lightning, which he supposed to be a form of the same phenomenon he produced on a smaller scale when experimenting with his Leyden jars. His recipient, deeming the information too good to keep for the benefit of a few readers, decided to publish a collection of his writings in book form in 1751. “45. It is safer to be in the open field for another reason. When the cloaths are wet, if a flash in its way to the ground should strike your head, it will run in the water over the surface of your body; whereas, if your cloaths were dry, it would go through the body. An electrified bumper was a glass of wine carrying a charge to shock the lips. 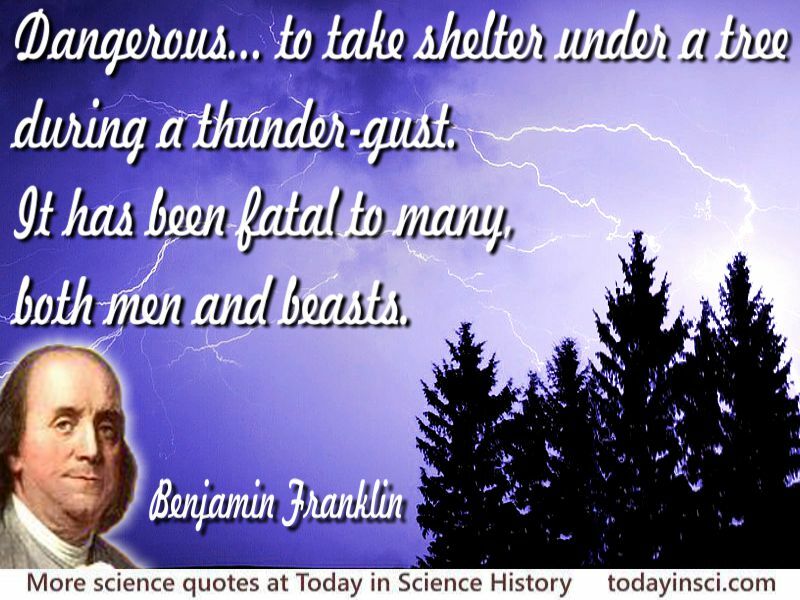 Science Quotes by Benjamin Franklin.